That's just what I am going to be doing today...laboring in my little corner of the world! 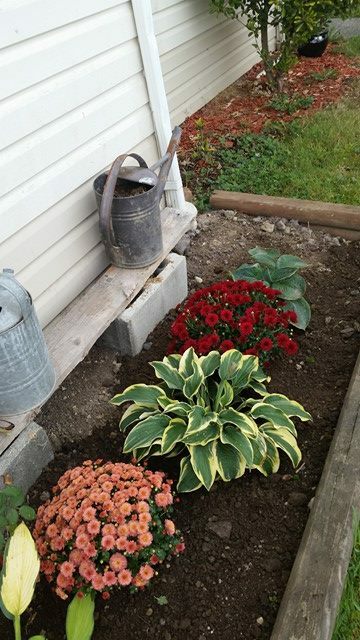 I am going to tackle my front garden and get it all cozied up for fall/winter. 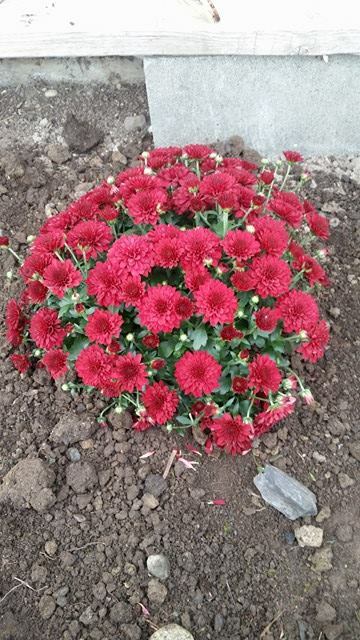 One of our local hardware stores had their mums on sale this past week for $3.99 each. 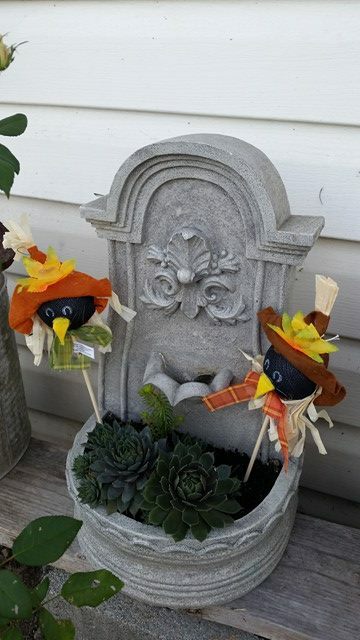 I was so excited, since I am on a super strict budget for my fall decorating/gardening wants. 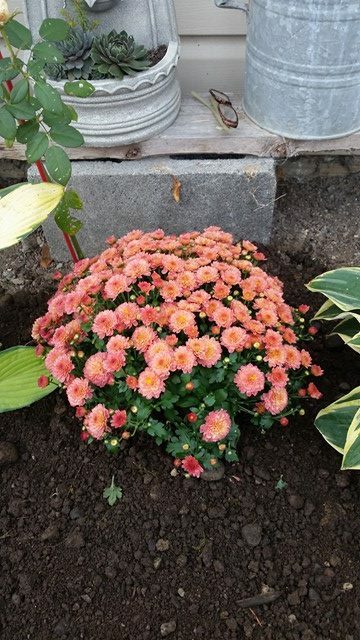 I have in the past invested in the huge, lush, gorgeous potted mums for my walkway, but this year, I don't have the space for them and they are priced way out of my allotted budget. 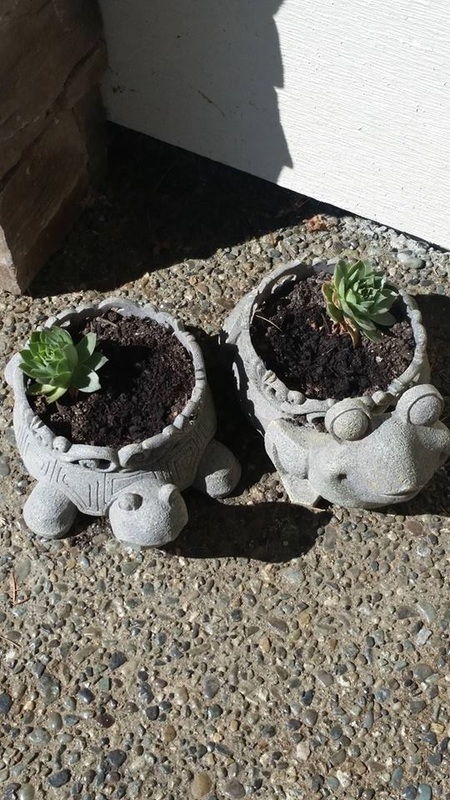 Walmart had the smaller ones for $12.97, and that limited me to one, until my sister, Janet, texted me a photo of her mums from the hardware store. 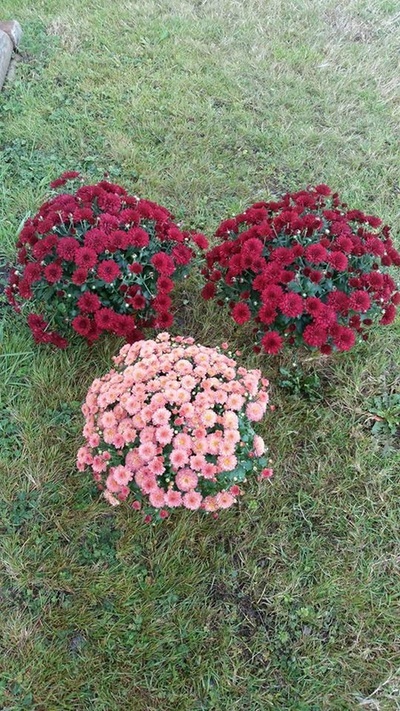 So, I got three potted mums for the price of one from Walmart. They are a bit smaller than the ones from wally world, but they are more suited to the space I have available. 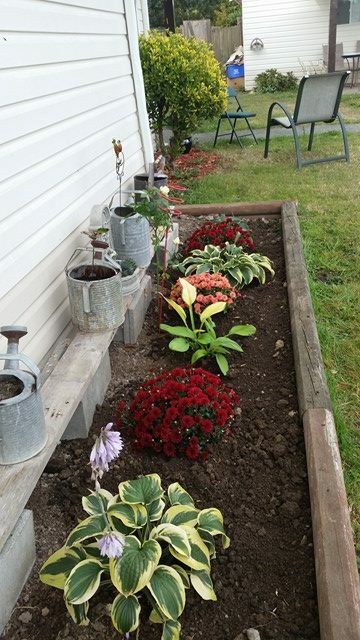 This year, I am going to actually plant them in my garden and see what happens over the year with them. 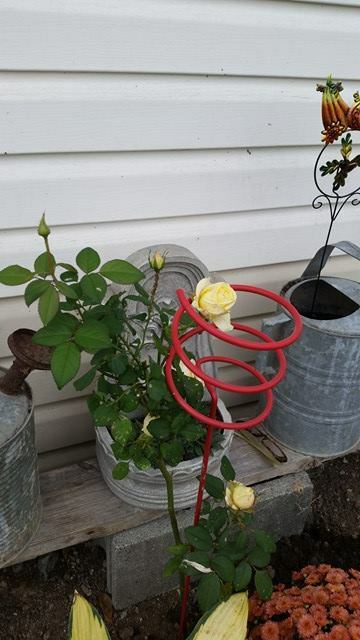 The lady at the store said she planted one five years ago and it has come back every year, so, that gives me hope for mine! I am going to wrap all the garden ornaments in plastic garbage bags and store them on a set of shelves out in my backyard. 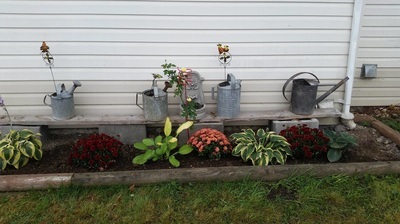 I might add a couple of fall/ Halloween type things to the garden to brighten things up a bit. 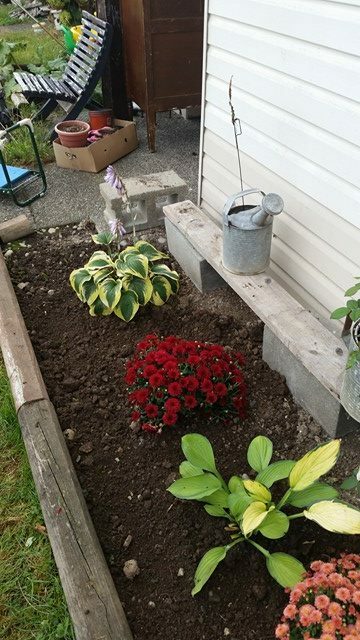 So, off I go to accomplish what I can in my front garden. Have a super holiday, be safe, and drop on by the front porch for a visit! 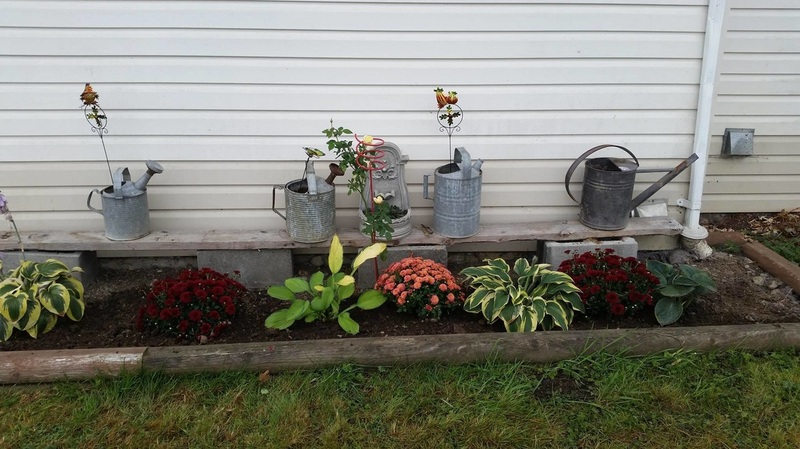 I just wanted to share a really great idea that my sister, Janet did. She had two battery operated lamps with glass chimneys in their trailer, and somehow the chimneys got broken. entrance way. She planted a hen and chick in each one. Sooo cute!!! !